James Munton (a.k.a. 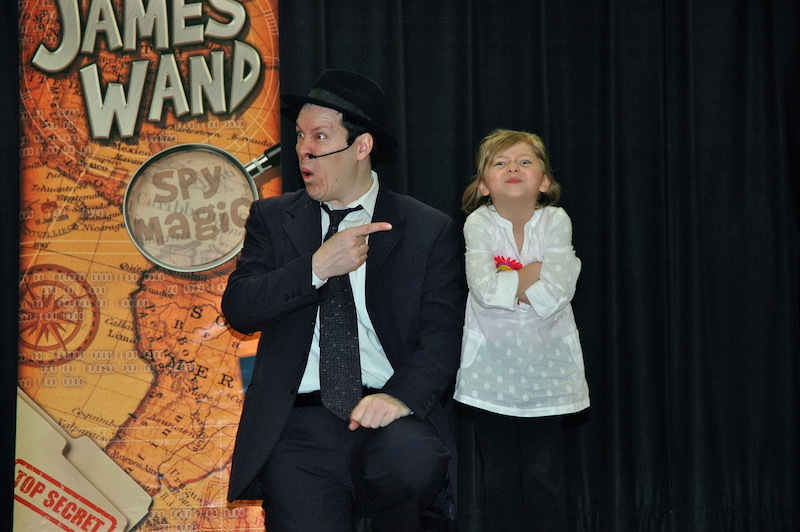 James Wand) has performed his acclaimed Secret Agent Magic Show at schools throughout the United States. He has appeared on ABC, NBC and Fox News, National Geographic TV and has been featured in articles in the Washington Post and Wall Street Journal. He has appeared at some of the most prestigious addresses in the United States, including the homes of ambassadors and cabinet members. He has performed for Vice President Cheney and appeared at the White House three times! Born in London, England, James apprenticed with a local magician and after graduating from college, began performing professionally in 1992. His entertaining, wholesome family-oriented brand of entertainment has been a hit with children and adults ever since. After moving to the United States in 1997, James has entertained many thousands of children and adults with his hilarious magic. James was honored to become a U.S. citizen in 2004. In 2011, James had his first book published. The Con: How Scams Work, Why You’re Vulnerable & How to Protect Yourself has been acknowledged as one of the definitive books on the topic. His new book, CyberSense: the 7 Steps to Keeping Your Kids Safe Online was written to accompany his middle school program.